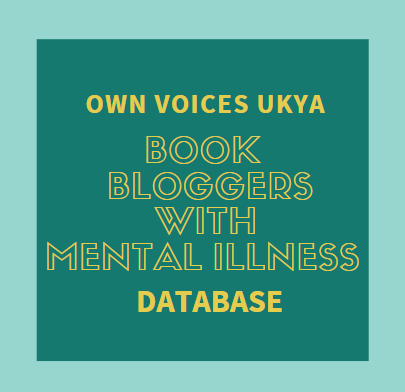 I've been tagged by Sarah of Sarah Withers Blogs for The Book Fests Awards tag. I'm a big fan of tags, but don't get tagged that often, so I'm really looking forward to this. For the official rules of the tag, check out Sarah's blog, but I'm not following the rules exactly, so I'm not posting them. Ok, on to the tag! 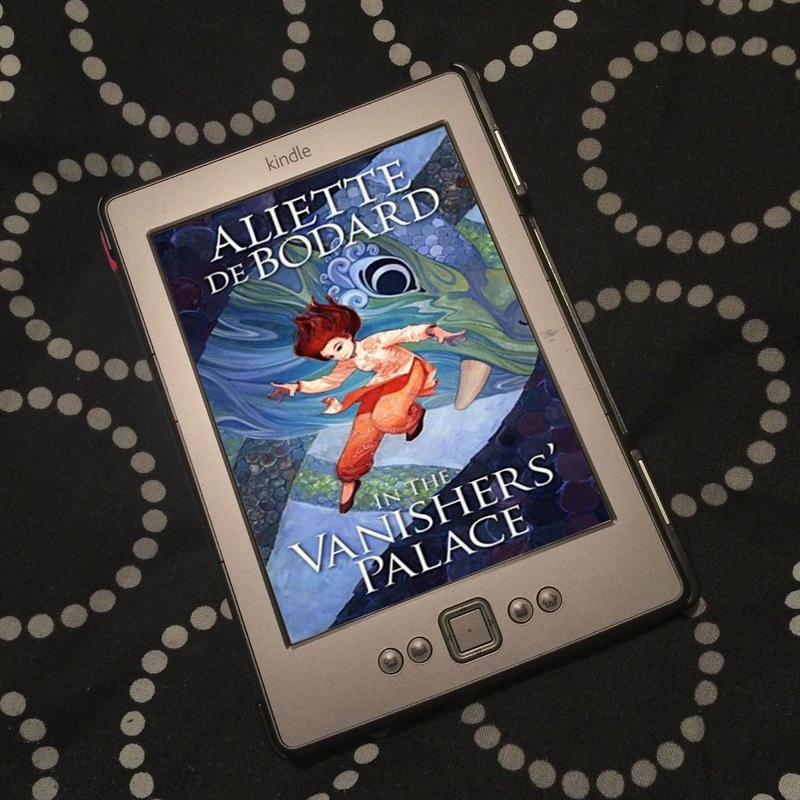 A book you started and never finished, but want to finish? What stopped you from continuing to read it? 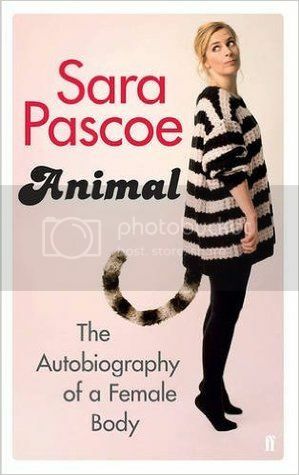 Animal by Sara Pascoe. It's so interesting, looking at society, and at evolution and why society might be as it is in terms of inequality, and I really was learning a lot... but I was in the mood for some fiction, so I put it down, and I just haven't picked it up yet. I haven't read any non-fic since then. Fiction is where my real passion is, so, although I learn a lot through non-fic, I really need to be in the right mood to read it. I will pick Animal back up again at some point. What elements of a book attract you, making you want to read it? I'm very much drawn to character-driven books. I love a good plot, there has to be a story, but I do love really fleshed out characters we can get to know, and experience their story along with them. My literary roots are in high fantasy, and in those I tend to enjoy series that involve - or at least start with - a coming-of-age story, plus a large cast of characters, political intrigue and strategical moves, magic, gods, incredible world building, a world-affecting conflict/war, and... well, all the usual tropes. 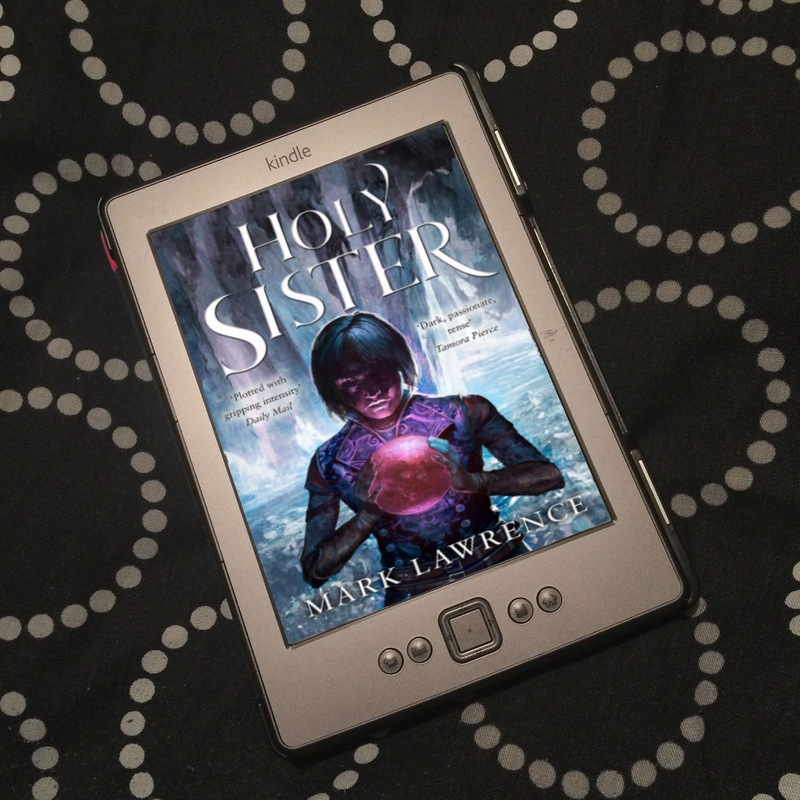 When it comes to YA in general, just a great story, really; my tastes in YA are quite eclectic, so serious, moving and heartbreaking, or a nice light read, all work for me, in most genres. I look out for diverse books, and I try to read as many diverse books as I can, but I won't read a book just because it features marginalised characters. For example, I'm really not a fan of historical fiction, so unless there's something about that particular story that draws me in, I won't pick it up simply because it's a diverse book. Which format do you prefer your books to be in, e-copy or hard copy? I prefer physical books. I really do. However, there's only so much space available, so this year, when it comes to review copies, where possible, I'm trying to just request/accept eProofs, and only buying physical copies of the books I absolutely love. And I find I read a lot quicker when reading eBooks. But nothing really beats holding a physical book in your hands and turning the pages, getting completely lost in the words. 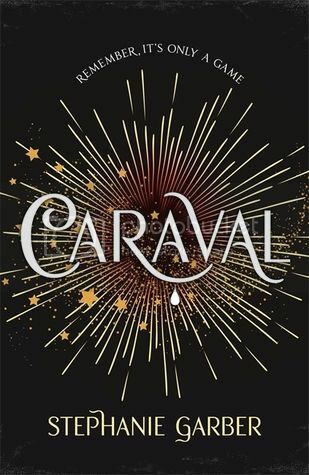 I'm currently reading Caraval by Stephanie Garber, and honestly? I'm finding it kind of slow. At the time of writing, I'm just under a third of the way through, and Scarlett is really bugging. She spends so much time thinking through her choices - for each and every choice - and it just takes so long for her to actually do anything. I keep thinking, "Just decide and do something, already!" I don't need her to talk me through all the options. She should summarise more. It's just annoying. No-one takes as long to think about what they will do as it takes us to read Scarlett thinking through everything. It's really bugging me. I'm hoping something exciting happens soon and the pace picks up, because, in all honesty, I'm kind of bored. You should judge a book on the book. I would never judge a book I haven't read. However, I'll be able to tell, most of the time, if I'd actually enjoy a book by the film, if I haven't read it beforehand - whether I enjoyed the movie or not. For example, I can fully enjoy all adaptations of books by Austen and the Brontë sisters, but I know I'm not going to enjoy the books, because those kinds of books just aren't my bag. However, it is kind of disappointing when you watch a movie, think it was brilliant, and then go to read the book, and really dislike the book. 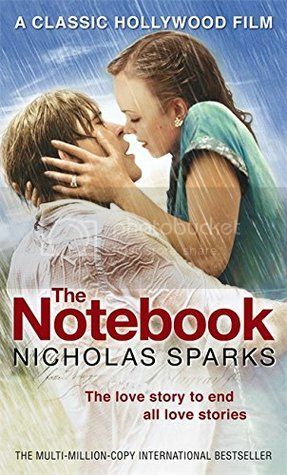 This happened with The Notebook by Nicholas Sparks. I absolutely adore the movie, it's actually my favourite, but the book was such a huge disappointment. I really didn't like it. So I no longer expect a book to be good or not based on what I think about the movie. I actually can't think of one. Mostly, I've been drawn in by really beautiful covers (and blurbs), and then been let down by the story, but not really the other way round. Or at least not for a long time, as I can't remember any. 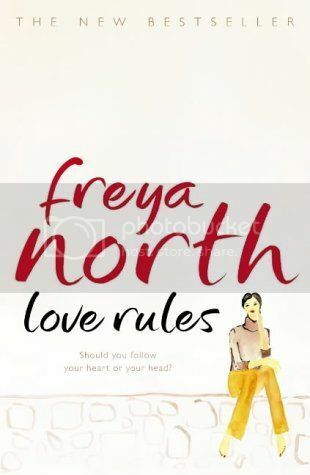 Oooh, that would be have to be Thea from Love Rules by Freya North. It's a romance, but aaaah. I won't spoil the story, but I found I really related to her; her views on love and her morals. And then the story happens, and I'm rooting for her and everything is wonderful, until they aren't... and I took what happened really personally, as Thea is so much like me. I would have reacted the same way she did, and it just.. aah, it just really hurt, even though it's fictional. I've tried reading it again, because in all, I did enjoy it, but nope. I just can't. I get to that point, and then have to stop. So maybe it's not always great to relate to characters? Oooh, Hermione? I would so love to go to Hogwarts, and I would like her brain, though maybe not be so obsessed with studying. So yeah. I don't who else I'd want to swap with. But some kind of fantasy world would be awesome. A book that you have absolutely loved, but nobody else seems to have heard of? 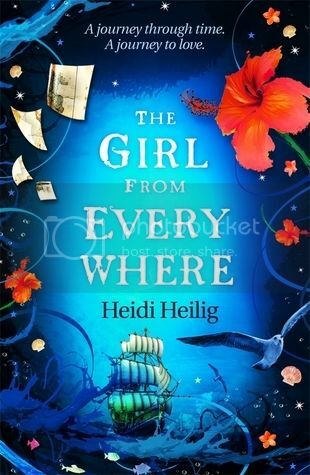 I feel that in the UK, not many people know about The Girl From Everywhere by Heidi Heilig, which is an atrocity, because it's amazing! I absolutely love, and wish many more people here in the UK knew about it, would read it, and love it. I do handsell it as much as possible when I'm at work - I'll tell anyone who will listen! Sarah’s question: You’ve been given an article in a major newspaper’s culture section. You can review just one book – what do you pick? Oh, this is so hard! I've rewritten this question so many times! First it was Strange the Dreamer by Laini Taylor because it was so good! Then it was Seven Ways We Lie by Riley Redgate because it's such an important and pivotal book. 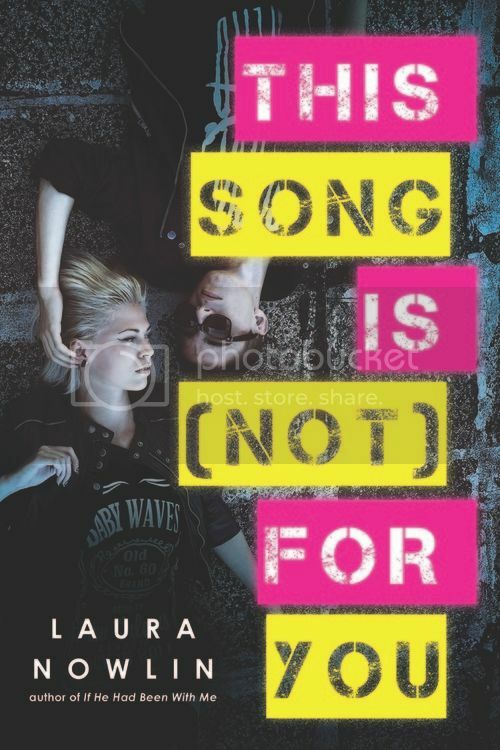 And then I thought, well, maybe This Song Is (Not) For You by Laura Nowlin, another important and pivotal book! I really don't know, I really don't. Can't I just be a reviewer for the paper instead and have one review a week? If there was one book you could have written for you - a book you would love to read, but doesn't yet exist - what would it be? And that's it! I'm not tagging specific people, those who want to do the tag, please do so! And again, the actual rules for the tag can be found on Sarah's blog.